. 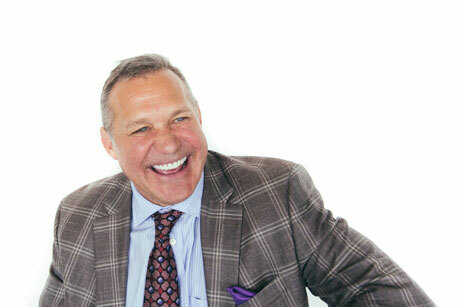 Vince Thompson is an award-winning brand builder and one of the country’s top sports marketers. In 2000, Thompson founded and has built MELT into one of the nation’s largest independent sports/culinary/entertainment marketing agencies. This includes MELT’s 18-year representation of The Coca-Cola Company. Activations include 16 Final Fours; the 2003 creation of March Madness Music; the 2017 creation of the Taste of The Tournament and 5 seasons of ESPN College GameDay. Other activations include Coke Zero Sugar, Powerade, Sprite, Domino’s, Speedway, Wal-Mart, Wendys, COPA, FIFA, MLB, MLS, Nascar, NFL, NBA, NHRA, PGA and USOC. Other clients include Caterpillar, Cam Newton, Core Power, Fair Life, GA Crown, GA Lottery, Gildan, Holiday Inn Express, KIA Automotive and Valser Water. MELT annually produces 1000 events and activations. MELT Culinary was formed to unify chefs as an influencer and innovation network and has activated at SOBE F&W; The Final 4, MLB All-Star; Atlanta Falcons; Tour Championship, NYC F&W and World Series. MELT content has appeared on CBS, CMT, Food Net, Fox Soccer, MTV, NFL Network, Palladia, TBS and VH1. MELT annually produces 1000 hours of content. Thompson is a 1984 graduate of Auburn University with a BA in Communications. He was a Student Assistant in the Sports Information Department and a Sports Editor for The Auburn Plainsman. These experiences led to the formation of MELT University, a highly-acclaimed intern program for college students. He frequently lectures at major universities and appears on The Paul Finebaum show on The SEC Network. MELT’s awards include a 2018 Effie; 2018 Cynopsis Sports; 2017 Event Marketer; 2017 and 2015 ABA Agency of The Year; 2015 Cynopsis Social Good, 2014 Cynopsis Brand Marketer of The Year, Event Marketer EX Award, Biz Bash Top 50 Event Producer and Adweek Buzz Award. Thompson has received the 2015 ADA Father of The Year Award, the 2015 Wellspring HOPE Award and Showcase Group’s 2014 Rise Award.